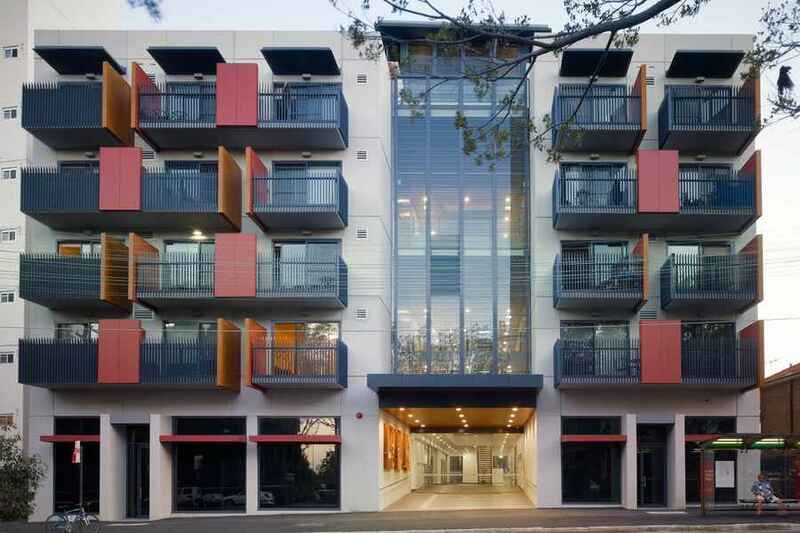 HASSELL worked with developer and builder, Grocon on a pro-bono basis to prepare preliminary design feasibility studies, before providing full design services at cost to Housing NSW. Many other specialists also contributed to the project on an ‘at cost’ basis which fostered a collaborative approach throughout its delivery. Grocon built the project at cost and returned a $1.4m saving to Housing NSW. The Common Ground model satisfies the fundamental requirements of shelter, warmth and basic life needs as a vital first step towards a satisfying and balanced life for people affected by homelessness. Importantly this model provides on-site support designed to help tenants maintain their housing, address health issues and pursue education and employment. The 104 units establish a social mix, integrating previously homeless people along with others on low incomes. A 24-hour concierge provides security and casual surveillance for residents and visitors, and support services ensuring residents’ are receiving appropriate support to maintain their tenancies. The project is targeting a 5 star Green Star rating for design, and is one of the largest residential developments in Australia that has the potential for all of its units to have barrier free access to aid accessibility.